Complex Says: It's true that wings, when sized and positioned correctly, can make your ride more aerodynamic. But there's a limit for everything. 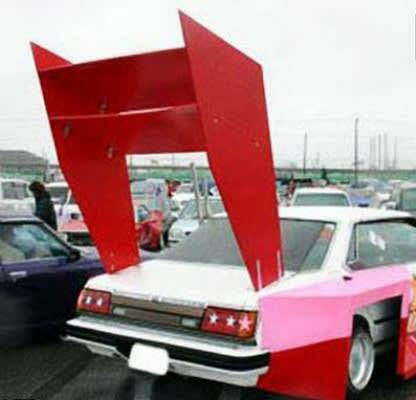 Putting a gigantic wing on your car will not only fail to improve your car's performance, but it will make you look like a complete jackass in the process.